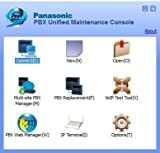 This is the software required to program Panasonic Business Telephone Systems US version. This software supports the following systems KX-TDA50, KX-TDA100, KX-TDA200, KX-TDA 600, KX-TDE100, KX-TDE200, KX-TDE600, KX-NCP500, KX-NCP1000 Software version 7.8.1.1R15 release date 2/11/16 Works on Windows XP or later computers. Windows 10 64 bit drivers included. Number of Videos: 107 Lessons - 10 Hours Duration User Level: Beginners In this Learning C++ training course, Professor and expert instructor Mike McMillan introduces you to the basics of programming in C++. 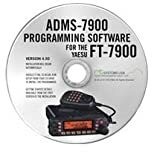 With over 25 years of programming experience, 13 years of experience teaching programming, and authoring 6 textbooks on programming, you can be well assured that you will be taught the correct way, the first time! Starting with the basics of the C++ programming language, this video tutorial covers all of the basic operations you need to start building your own C++ programs. You will learn about standard data types, variables, arithmetic expressions, flow control, functions, classes, arrays, pointers, and much much more. Throughout this computer based training DVD, you will not only be shown the various operations, but you will actually get a chance to follow along with the author and practice what you learned with exercises that build on what you were just taught. By the completion of this C++ training video, you will understand that basics of what C++ is, the basic language constructs, and how to utilize them to create a fully functioning C++ program. Included are working files to allow you to follow along with exactly what the author is teaching you. This RSLogix 5000 Programming Software Training PLC Certificate course helps prepare one for programming a Controllogix 5000 PLC / PAC. (And compactlogix and FlexLogix) ControlLogix - The CLXTrainer (50hours) This RSLogix 5000 training software is a great next step, after completing our PLC training software. Some not being properly trained yet, may believe a PAC like Rockwell's Controllogix is a PLC and they can 'figure it out'. But after viewing the RSLogix 5000 training screen shots here, you will see there is a whole lot more to learn when working with PACs. RSLogix 5000 Training Sections: Introduction to ControlLogix, Overview of RSLogix 5000, ControlLogix Architecture, ControlLogix Memory, Project Organization, RSLogix 5000 Data File Types, ControlLogix Bit Instructions, Timer Instructions, Counter Instructions, Data Collecting, File/Data Manipulation, Shift Registers/Sequencers, Program Control Instructions, Configuring Analog Modules, Structured Text Programming, Function Block Programming, Documenting Programs, Communications. Note: This training software does not include an RSLogix 5000 simulator you can type you own code/logic into. It does allow you to interact with pre-defined RSLogix 5000 simulations relevant to topic being taught. The road map to PLC mastery starts with learning how to read electrical schematics. Programmers need this skill to see how PLC programs will interact with the hardware that are in a system. This training course teaches electrical schematic reading and electrical components that are commonly used in electrical schematics.The next stop of the road to PLC mastery is learning the basics of PLC hardware. PLC hardware knowledge is needed to design PLC control systems that conform to technical and functional specifications. This training course teaches PLC hardware that are typically used in PLC control systems such as digital I/O module, analog I/O module, processor modules and power supply module. 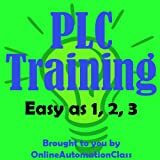 Animations and demonstrations with real PLC hardware are shown to help viewers understand some of the PLC hardware concepts.The final stop of the road to PLC mastery is learning the basics of PLC programming. This training course teaches basic programming instructions, programming tools and programming concepts that will allow viewers to create basic to intermediate complexity PLC programs. 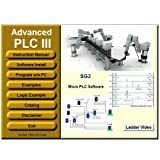 Animations and programming demonstrations with real PLC hardware are shown to help viewers understand some of the programming concepts. Three bonus PLC Training ebooks totaling over 1000 pages are included with this Ebay listing. The ebooks provide supplemental training of the topics covered by this training course and more!